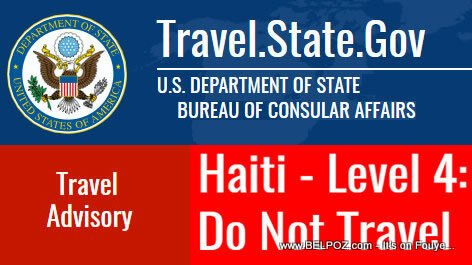 The US Government warned its citizens not to travel to Haiti on Friday, 14 Feb 2019, due to widespread, violent, and unpredictable demonstrations in Port-au-Prince and elsewhere in Haiti. The highest travel advisory level issued by the U.S. State Department is a "Level 4 DO NOT Travel" warning or advisory. The last time such a travel advisory was issued was back in July 2018 following the gas price hike violent protests. The government needs an army to deal with a situation like this. The country should always be prepared for a riot. People need to be pushed back from the city to get control.